Dr. Tim Hunt of Bayshore Veterinary Hospital is named the 2014 America’s Favorite Veterinarian. 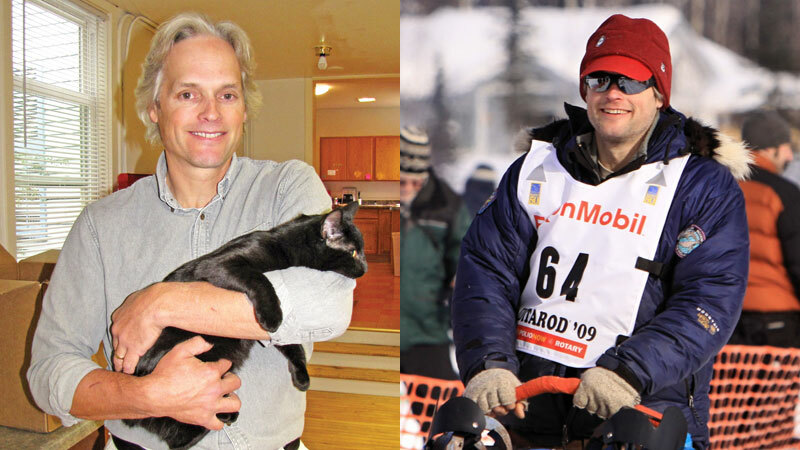 Dr. Tim Hunt practices at Bayshore Veterinary Hospital in Marquette, Mich.
A Michigan veterinarian and sled dog enthusiast today was named America’s Favorite Veterinarian by the American Veterinary Medical Foundation. Tim Hunt, DVM, who owns Bayshore Veterinary Hospital in the Upper Peninsula city of Marquette, also produces a line of dog food and treats under the Dr. Tim’s brand name. Dr. Hunt was selected from among 20 finalists after public voting gave him 12,000 votes out of 86,000 cast. He was nominated by client Kris Mitchell, who said Hunt performed a Cesarean section on her bulldog one Christmas morning. Hunt, a Michigan State University graduate, cherished the honor. Hunt spends time in Alaska, serving as a volunteer veterinarian for the Iditarod sled dog race. He founded the Alaska Veterinary Rural Program, which conducts spay/neuter clinics and provides veterinary care in impoverished villages, the American Veterinary Medical Foundation reported. Teaching children and families about the importance of treating animals kindly and humanely is part of Hunt’s philosophy. The America’s Favorite Veterinarian contest began in 2013. The inaugural winner was Carlos Campos, DVM, of Spring Hill, Fla.